Something is happening in the world of technology. One of the major recent developments has been the elevation of design to match, or in some rare cases exceed, the importance of technological innovation. And not before time, too. 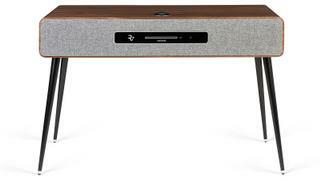 Take the Ruark Audio R7 Mk3 (above), for example. Launched in 2013, the R7 stood out from the hi-fi crowd for its stylish retro looks. Now, with this third generation model, the British company has refined the design with a slimmer cabinet and minimalist front panel, as well as adding built-in Spotify Connect. The mid-century radiogram design remains key, but there is nothing antiquated about its performance. As well as the usual sources such as CD and DAB, the R7 can support aptX HD Bluetooth, which can handle 24-bit hi-res audio. 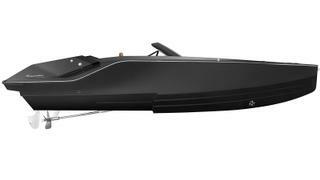 It can also link numerous R7s to play music yacht-wide (£2,300, ruarkaudio.com). Staying with a retro aesthetic, Technics launched its celebrated SP10 record player in 1975 and its new version, the MOMA-worthy SP-10R (above), pays homage to this beautiful forebear. The SP-10R has a reworked coreless direct drive motor and 7.9kg heavy platter that has a three-layer structure consisting of brass, die-cast aluminium and rubber. Cleverly, by optimising the natural frequency of each layer, vibrations are suppressed. 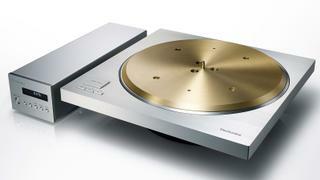 It is launching soon (POA, technics.com). Leica is one of the few camera makers that has always embraced good design – and married this with exceptional performance. To celebrate the 2018 Winter Olympics, the brand launched the Q Snow (above), created in collaboration with Iouri Podladtchikov, a Swiss Olympic and world champion half-pipe snowboarder. Taking the already stylish Q camera, with its 24-megapixel full-frame CMOS sensor and Wi-Fi integration, Leica has added a premium white leather chassis and matching case and shoulder strap. 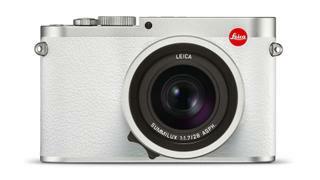 This is a rare one – production was limited to 300 units worldwide (£4,300, leica-camera.com). 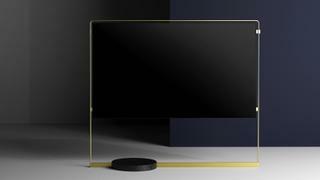 Television design is having a moment and one company, Loewe, has been leading the field when it comes to aesthetics – thanks to the recent addition of Bodo Sperlein as creative director. After his triumph last year with the Bild 9, Sperlein has struck gold again with the Bild X (above), suspending a thin 4K 65in OLED screen within a steel frame. The design itself has been inspired by the way sails are attached to a mast (POA, loewe.tv). Bang & Olufsen has always considered quality design paramount, going right back to the achingly cool Hyperbo radio and gramophone designed by Peter Bang himself in 1934. Its latest headphones continue this tradition and are among the best-looking on the market. 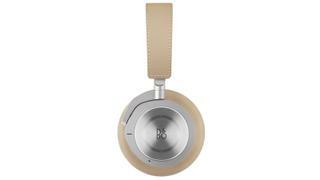 The Beoplay H9i cans (above) are over-ear, wireless and noise-cancelling (the holy trinity), with a stitched cowhide leather headband, anodised aluminium ear cups, and lambskin pads with memory foam. The sound is superb and the 770mAh battery – good for 18 hours’ playback – can be swapped out so you can carry spares. The best bit? A proximity sensor lets the H9is pause music when you take them off (£449, beoplay.com). Tech is always welcome when it is upgrading traditional craftsmanship. 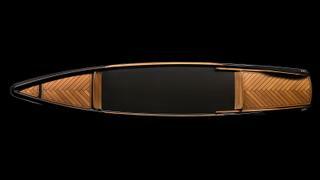 The BorromeodeSilva monocoque paddle canoe (above) mixes modern materials with traditional manufacturing skills; this craft’s hull utilises both copper-woven carbon fibre and classic teak for a combination of beauty, strength and lightness – even the oars tuck away into fin-shaped recesses in the rear. The company is even working on integrating a small electric motor. Currently a one-off, BorromeodeSilva is hoping to bring this to commercial production (borromeodesilva.it). One boat that is on the market right now, however, is the Frauscher 740 Mirage. It is powered by a 60kW electric engine, propelling the 7.47 metre vessel with you and five other passengers through the waves at considerable speed but with minimal damage to the environment. On board tech includes a high-end Bluetooth audio system and, perhaps best of all, an under-seat 30 litre chiller drawer (from €215,652, frauscherboats.com). 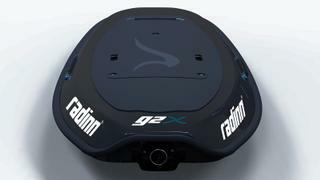 Lastly, if an even closer connection with the water is more your thing, the new G2X electric surfboard (above) from Radinn has the unique advantage of not requiring any waves whatsoever to work. Its electric brushless motor produces a smooth, silent ride on completely flat water with speeds of up to 34mph. A waterproof remote displays speed and battery life data while you ride, plus that battery is good for 45 minutes if you spec the XL version. Cleverly, when the board’s power is getting low, the remote vibrates so you know to return to your boat before you need rescuing (from €9,900, radinn.com). Yes, this is a halcyon period for high-tech. No longer do you have to make a choice between a good-looking gadget and one that actually does what it’s meant to do.